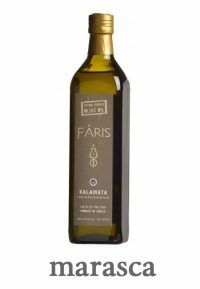 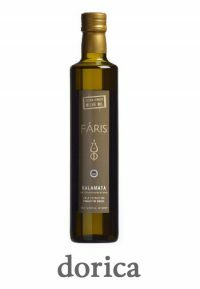 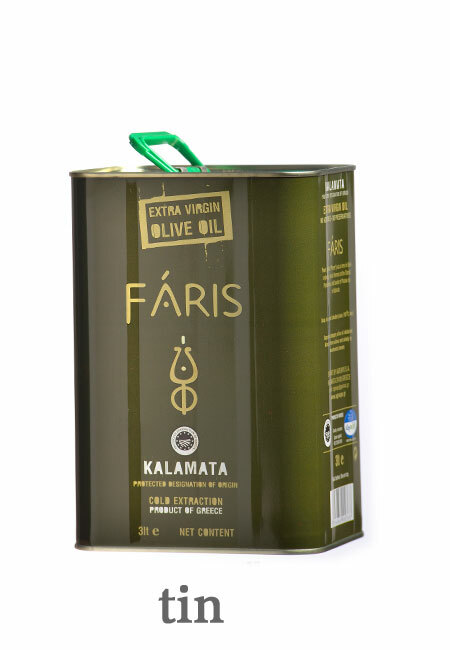 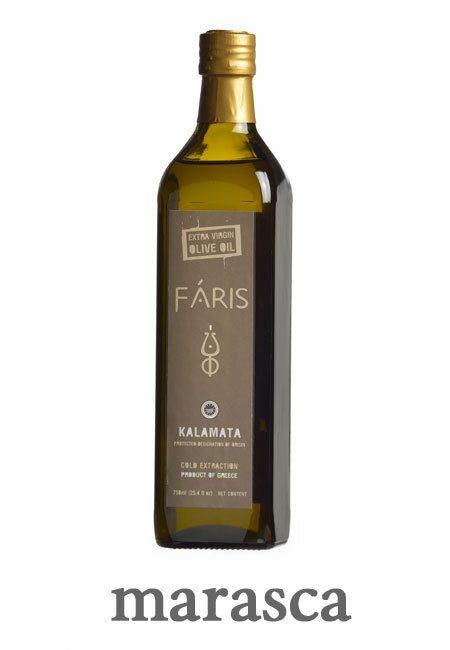 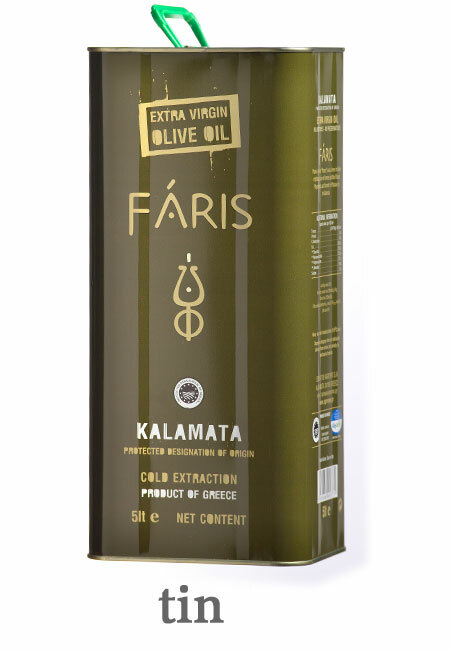 Faris extra virgin olive oil P.D.O Kalamata has excellent flavor and odor and free fatty acid content of not more than 0.6g per 100g (0.6%).It is produced exclusively in Kalamata region from the variety “Koroneiki”. It is available in bottles Marasca and Dorica (250ml, 500ml, 750ml and 1lt). 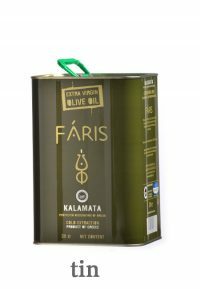 Also it is packed in Tins of 1lt, 3lt and 5lt.